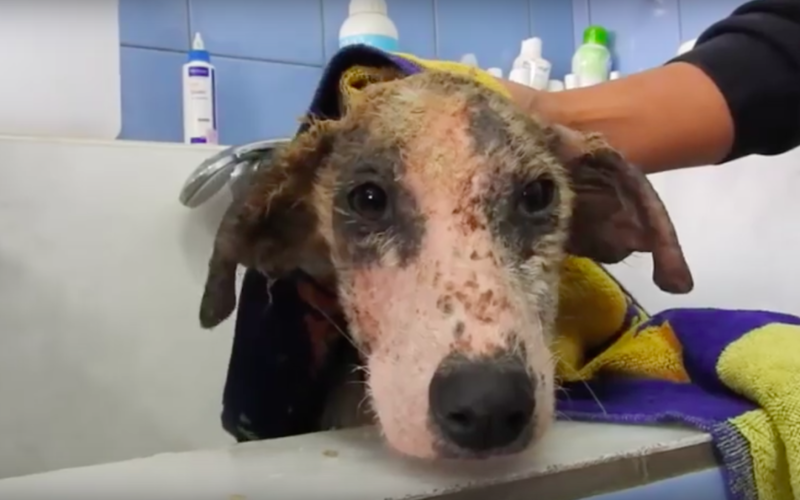 A dog was living in a military camp in Greece with a pack of stray dogs. Leila was so sick that she could barely stand on her own, and with each passer day, she grew sicker and sicker. She needed medical attention immediately or else she wouldn’t survive. But since she was a stray, her future looked bleak. Thankfully, soldiers at the camp saw how sick she was and contacted Save a Greek Stray rescue for help. Volunteers brought her to their shelter and named her Leila. 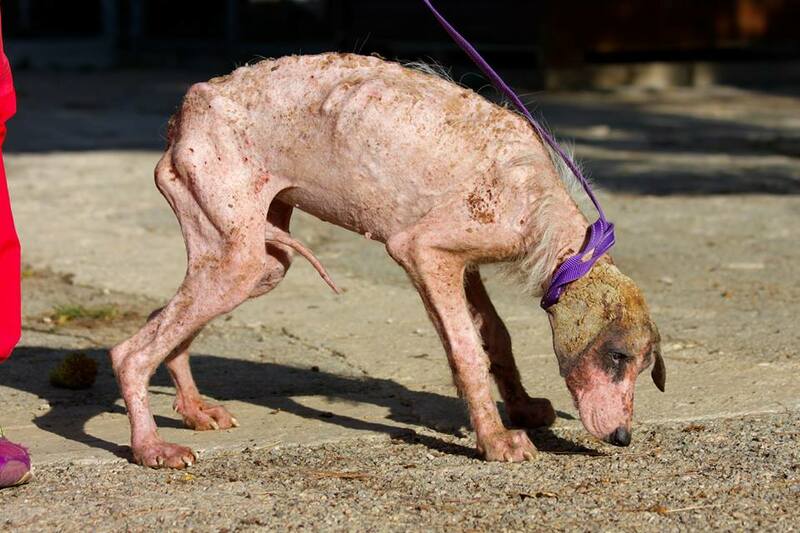 Aside from her ailments, she also had mange, which left her hairless and in pain. The only hair she had left was caked with dirt. She was also so malnourished that you can see her bones. She was exhausted, both physically and mentally. 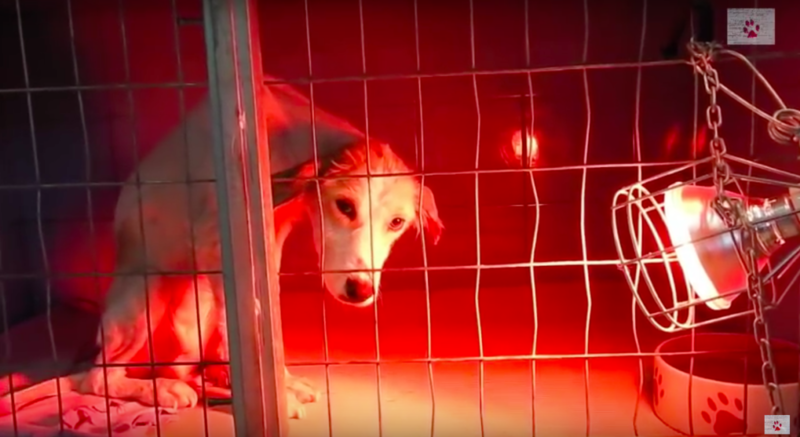 They put her in isolation for a month, where she received treatment. Eventually, she made a full recovery and her hair began growing back. She still has a little more to go, but she already looks so much happier and healthier. As she began feeling better, her personality started to shine through. 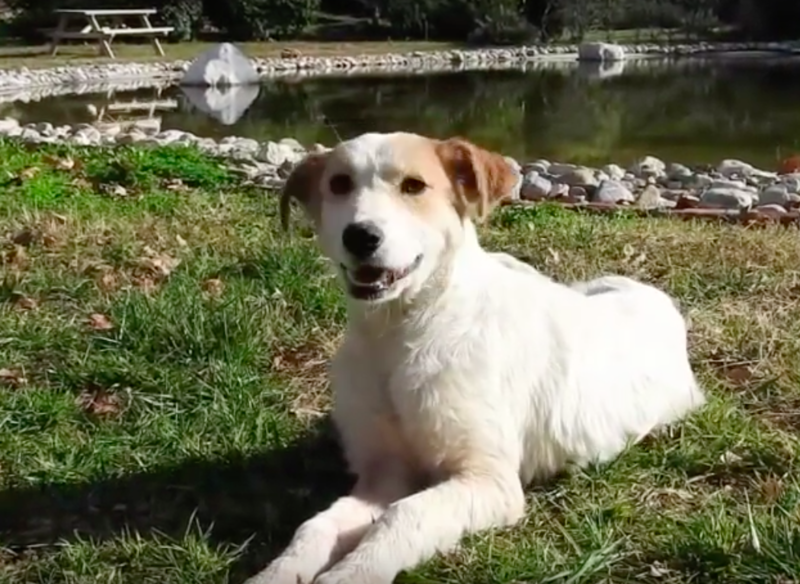 She broke out of her shell and is a very social, friendly and outgoing dog. 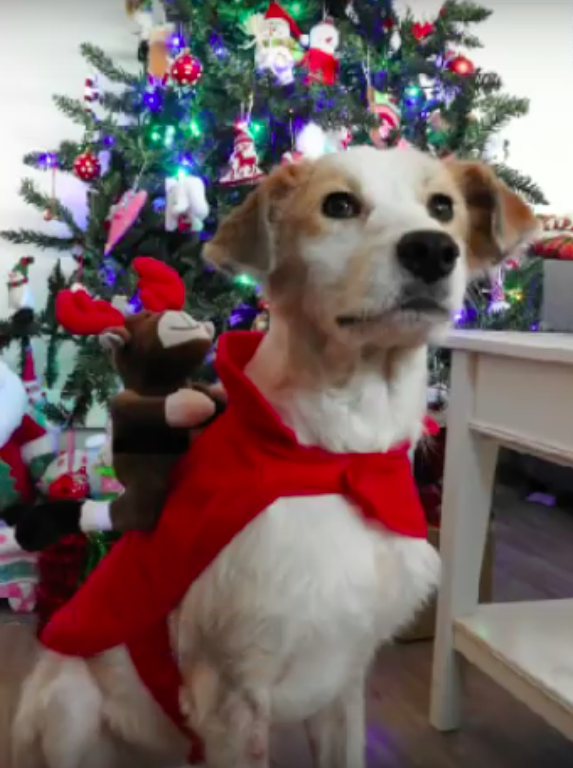 The only thing that she’s missing now is a forever home. If you’re interested in adopting this sweet girl, contact info@saveagreekstray.com.